Some would say it is easy when you have 177 table games and 4,322 slot machines and an advertising budget the size of a small city. No wonder Maryland Live Casino is expected to continue its dominance in the gambling market in the immediate future. 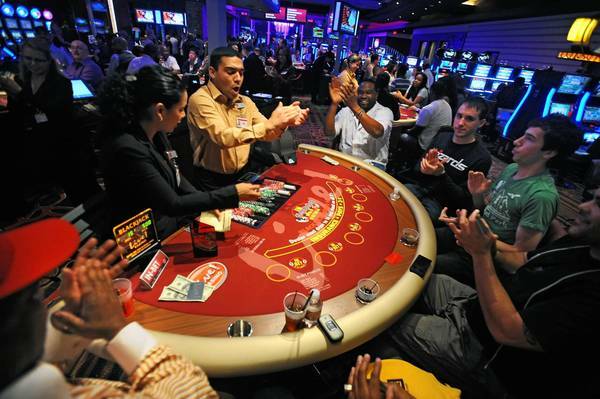 Maryland’s four casinos pulled in $78 million of record breaking revenue in the month of March 2014 alone, with the monthly revenue before this hovering around $70 million. Those are the largest gaming profit numbers short of Las Vegas and Foxwoods. The casino’s jump of 38.5% in gross revenue in March 2013 is its highest mark to date and James Karmel, an industry analyst and history professor at Harford Community College, predicted its earnings would rise higher. Maryland Live already has a great track record, enjoying 80% of the market share and is drawing national attention as it seeks to further dominate the regional market. The casino’s officials are more than satisfied with the facilities provided to their customers with Robert Norton, Maryland Live’s president and general manager saying its world-class facilities and location had helped it reach this high mark. Maryland’s driving force was also confident of dominating the regional market by focusing on still higher customer services. At the same time he said that though Maryland has developed a strong customer base, its services must be bettered as the casino had not been able to capture people’s attention span for more than half an hour at a time. Analyzing Maryland’s success, it was seen that table games have proved the real winners at the casino with their consistently deriving the largest amount of revenue. And, the casino has managed to attract some of the rivaling Hollywood Casino regulars. But Maryland Live is not alone in the market and is expected to face stiffer competition from the Horseshow Casino, another of the Baltimore’s crowd-pullers and, more competition will come from the MGM National Harbor Casino, which is scheduled to open south of Washington in 2016. Meanwhile Maryland’s current competitors are the Hollywood Casino which earned $7.9 million; the Rocky Gap Casino Resort, which pulled in about $4 million; and the Casino at Ocean Downs which made $4.2 million. But as yet Maryland Live has the largest market revenue share and is expected to retain its edge so long as it continues to provide the type of customer service that has seen it rise to the top. No one saw this coming with legal online gambling well under way. The gross revanue was expet to dip in favor of the internet bettors, but spring fever must have been at work, because there is a lot of wagering going on in Maryland.